Smaller cruise lines are shifting their focus to a more tailored cruising experience through theme-cruise offerings. Bahamas Paradise Cruise Line launched their first-ever Bollywood cruise experience in January on a 2-day cruise to the Bahamas. 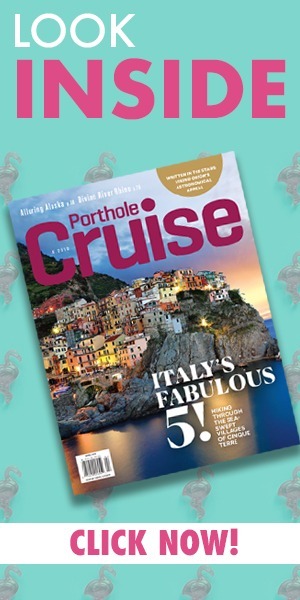 Porthole Cruise Magazine was fortunate enough to have boarded Grand Celebration with celebrity guest Sarah Schreiber to experience and document the one-of-a-kind authentic Bollywood cruise adventure. Our first activity led us to Deck 9 for complimentary henna tattoos from expert Indian artists. The artists explained henna was “the spread of happiness,” so we made sure to get all of our hands decked out in ink. We had been picking up on the aroma of Indian spices all evening long and were finally ready to dive into the buffet. The restaurants offered a wide array of Indian cuisine including vegetarian entrees, too! The spices were perfectly proportioned, with some dishes offering a little extra kick for those passengers with a love for spicy foods. I was sweating by the end of dinner from taste-testing all the spicy dishes, but it was worth it! I will dream of that dal for years to come. Dinner is best when followed by a show, and boy did we get a show! The cruise director announced a special Bollywood performance from the Bahamas Paradise Grand Celebration performers that will only be featured this one time. I felt like an absolute VIP knowing that no one else will get to witness this stellar production. After being all jazzed up from the theater performance, we made our way to the disco for a packed-house Bollywood Glow Party featuring classic Bollywood singer Naila Khalid. The energy in the room made Naila’s performance the highlight of the evening! She was accompanied by a collection of Bollywood dancers that got the entire room up and on the dance floor. The Bollywood dancers followed up the next morning by providing complimentary Indian dance lessons. Passengers were given lessons on the history of Bollywood dance and shown how to move with the words of the song. I only wish we had known these moves the night prior, so we could have danced in unison with the dancers! The Bollywood theme was accentuated by many details aboard Grand Celebration. Every television highlighted the charm of Bollywood by streaming classic Bollywood films, while the aroma of Indian spices enticed hungry passengers to make their way to the buffet. We closed out our weekend on Grand Celebration with a relaxing dip in the Jacuzzi as our friends serenaded us with classic Indian tunes. While the typical Bahamas Paradise cruise passenger is likely seeking a budget weekend getaway, the amount of detail in a Bahamas Paradise Cruise Line theme cruise is sure to bring in a wider audience. 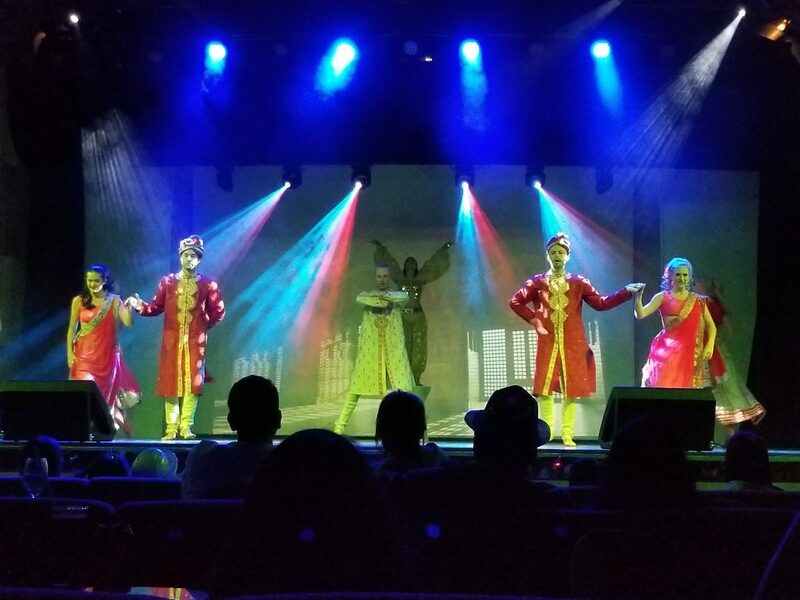 Grand Celebration’s Bollywood Cruise took “weekend getaway” to the next level by offering a one-of-a-kind experience that’s sure to launch larger trends in the cruising industry. The “Bollywood glow party “ no mention of your Indian dj !? Dj Sumi !